Taurus and Lauren Hannaford continue the FHIT journey - and yes, Sharon’s trying it out! Taurus is excited to welcome back client and friend, Lauren Hannaford! Lauren is the founder and creator of the new revolutionary online training program FHIT by Lauren Hannaford. 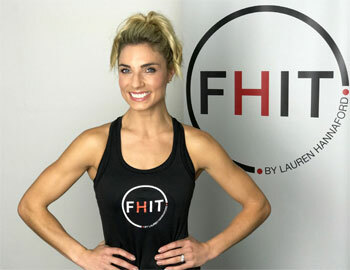 As the name suggests Functional High-Intensity Training, the program features Lauren’s unique style of physical workouts with a focus on strength and conditioning. Lauren is a former professional elite gymnast, competing and coaching at a national level for over 20 years, fitness model and former Wiggles character playing Dorothy the Dinosaur and Wags the Dog where she met her husband Simon Pryce, the red Wiggle. Lauren’s philosophy is all about health, heart and happiness. Her workouts focus on bodyweight training techniques to help members achieve their best results. Each FHIT phase takes you on a natural fitness journey at your own pace increasing in intensity as you progress. The Taurus team is thrilled to continue the FHIT journey with Lauren!